Fri., May 10, 2013, 2:01 p.m. The Coeur d’Alene School Board tapped Matthew Handelman to be interim superintendent of the school district Friday, replacing outgoing Superintendent Hazel Bauman. Handelman is the associate superintendent of Coeur d’Alene public schools. Bauman this week accepted an offer to become interim superintendent of the Central Kitsap School District in Western Washington. The Coeur d’Alene board met today to accept Bauman’s resignation and release her from her contract effective July 1. 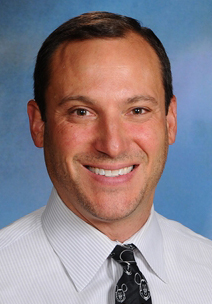 Trustees voted unanimously to offer Handelman the interim job, and he will take the helm of the district for the year beginning July 1. “I believe we have an extremely solid executive team in place and Matthew Handelman is the right choice to lead us at this time,” board Chairman Tom Hamilton said. Handelman was hired as associate superintendent in summer 2010. For the past two years he also has served as the district’s elementary director and curriculum director. Previously he was principal of Moran Prairie Elementary School in Spokane for nine years. Before starting a search for a permanent superintendent, the school board plans to develop a strategic plan that includes defining the mission, values and goals of the school district this summer. That will give the board a good idea of what it wants in a new leader, Hamilton said. The board anticipates starting a superintendent search in December or January 2014. Published: May 10, 2013, 2:01 p.m.